Book a nourishing massage, or join one of our creative and wellbeing workshops that take place through the year - whether you’re staying at Botelet or visiting for the day. Relax and unwind in our treatment room and enjoy a bespoke massage designed to target areas of tension and promote deep relaxation. During summer months, soak up the great outdoors with an alfresco massage. To find out more or make a booking contact Tia. Enhance your stay at Botelet with guided meditation practice; whether you want to be more mindful in your day to day life, de-stress or simply relax during your holiday, the sessions are designed to suit your individual needs. Contact Joey at Horizon Inspired. For reflexology, facials and other holistic beauty treatments we recommend Lisa Allen based in Lanreath just five minutes drive away. 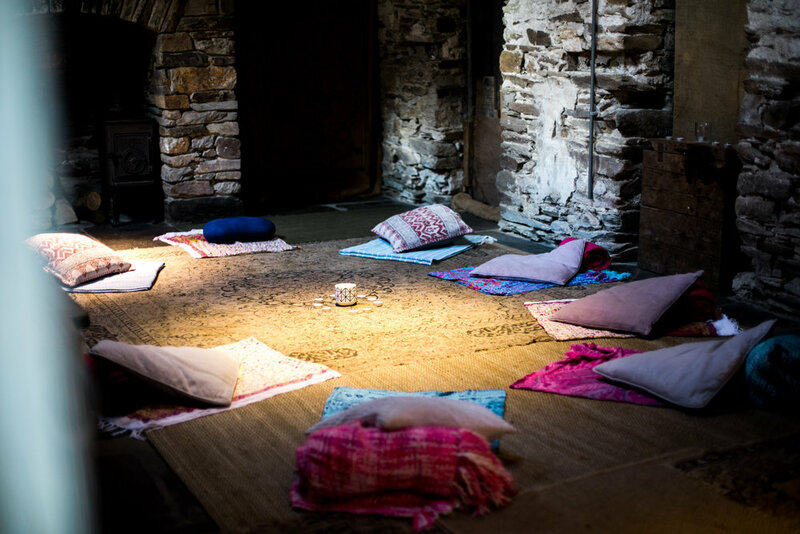 We host a variety of wellbeing courses and workshops suitable for individuals, friends, couples and families, including Introduction to Massage Courses, Family Head Massage Workshops, Retreats (residential and one-day), Meditation Classes, Family Sketch Clubs, Children’s Yoga Sessions and more. Check the Events page of our website for a list of upcoming dates, or contact us to arrange a private session. We look forward to welcoming you to some time-out here at Botelet.